The Fund for Investigative Journalism (FIJ) and the Schuster Institute for Investigative Journalism at Brandeis University are accepting applications for a project designed to broaden opportunities for diverse journalists in independent investigative reporting. The initiative invites applications that will enhance opportunities for investigative reporting on social justice issues, with an emphasis on supporting women and people of color. Pioneered with support from the Ford Foundation, this is the second consecutive year that grants and matching fellowships will be offered to help journalists of diverse backgrounds — widely recognized as underrepresented in the ranks of U.S. independent investigative reporters — to report and write important stories about unreported or underreported social justice issues. 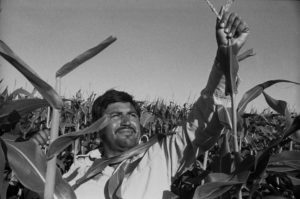 A two-year investigation found that seed-corn companies like Monsanto use contractors to recruit thousands of migrant farm workers for producing hybrid corn seeds in an $11 billion industry. According to the investigation by Laird Townsend for the Midwest Center for Investigative Reporting, the use of contractors has led to repeated allegations of labor violations over the past decade against Monsanto, DuPont Pioneer, and their contractors — from broken recruiting promises and minimum-wage violations, to improperly withheld pay and substandard housing. 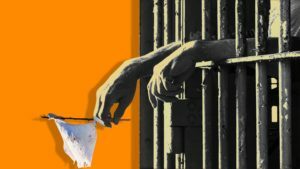 Hella Winston examined 263 wrongful murder convictions for her piece published by the Daily Beast and found that prosecutors brought charges against a new suspect in just 7 percent of those cases. It’s partly because prosecutors don’t want to acknowledge their mistakes and the challenges they face in successfully prosecuting another suspect after an earlier conviction has been thrown out. If domestic abuse is one of the most underreported crimes, domestic abuse by police officers is virtually an invisible one, according to compelling report by Melissa Jeltsen and Dana Liebelson for the Huffington Post. Because there are no government statistics, it is nearly impossible to calculate the frequency of domestic crimes committed by police—not least because victims are often reluctant to seek help from their abuser’s colleagues. A Cato Institute researcher they interviewed said that domestic violence is “the most common violent crime for which police officers are arrested.” And yet, most of the arrested officers appear to keep their jobs. Jeltsen and Liebelson spent months reporting out one particular case with two victims, shedding light on how officers can use their positions to facilitate abuse.